We all know about importance of cleanliness in and around us and how it helps us to stay away from waterborne and other diseases. Parents all over world always want to protect their children and provide them with good environment to stay fit and healthy. But recently in past years, it is well known that there has been lot of stress among parents and doubts about Japanese Encephalitis which is one of most deadly mosquito borne disease I am planning to share with you some of the important facts and myth buster about this deadly Japanese Encephalitis disease and actions to be taken to by parents to protect their children. This disease has affected children and elderly as there nervous system is weak and has power to fight against this viral infection as compared to healthy people. There has been rapid rise of increasing cases of death related to this Japanese Encephalitis disease in many parts of India. The origin of disease is from Asian countries and people who live in rural areas or close to paddy fields. What are Japanese Encephalitis Symptoms? Japanese Encephalitis symptoms are vomiting, fever and headache followed by disorientation and immune system damage also in span of hours or days. It is important to take the patient to doctor if any such symptom are found at early stage and get right medical assistance. Why is Japanese Encephalitis Virus more threat to young kids and children? Japanese encephalitis is mosquito borne disease by the Culex mosquito and linked to brain inflammation. This disease originated from Japan and so called Japanese Encephalitis. Most of the cases were from countries like Japan, Indonesia, and Thailand and close to areas where rain is frequent factor. This disease cannot spread from one person to another. How to fight this and steps for Japanese Encephalitis prevention? 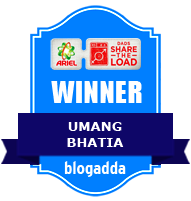 One of most basic thing is to ensure that you keep your surroundings clean and tidy. You must eliminate all areas where mosquito can breed. You must take additional steps during monsoon by proper disposing of wet waste and stagnant water. Mosquito can slide in room from some window or open door. 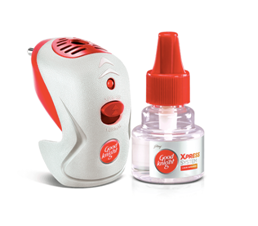 You must use effective mosquito repellent like Goodknight Xpress System for your safety and prevent mosquito bites. It is really impactful and reliable against mosquito for sound sleep. You can arm in normal mode and activ mode depending on number of mosquitoes. All family members should cover their body parts and wear light clothes at all times. Try to avoid such risk areas and taking children is strict no policy. We should consult doctor about using JE vaccine against Japanese Encephalitis before travelling abroad. You should bath daily and change clothes frequently. 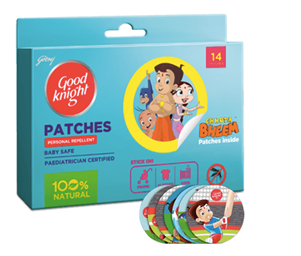 Goodknight has come up with personal repellent like Fabric Roll-on - Bubblegum Fragrance and Goodknight Patches come in fun designs are very innovative way to keep you safe from mosquito bites even when you are out in open up to 8 hours. 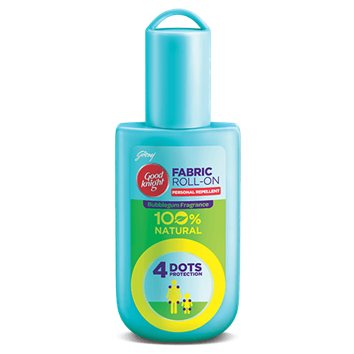 This product is certified by Paediatrician as baby safe and is 100% natural. You just have to apply 4 dots of Fabric roll-on and you are free to move around outdoor.You must check this amazing Do-follow website to get more tips about ways to fight against mosquito. It is our personal responsibility as a family member whether big or small to stay fit and fine. We must look after ourselves and give priority to health of our family members at all times.